The Regs and Registration Form for 2017 are now available from the links below. Best of luck to all of our members who will be competing this year. 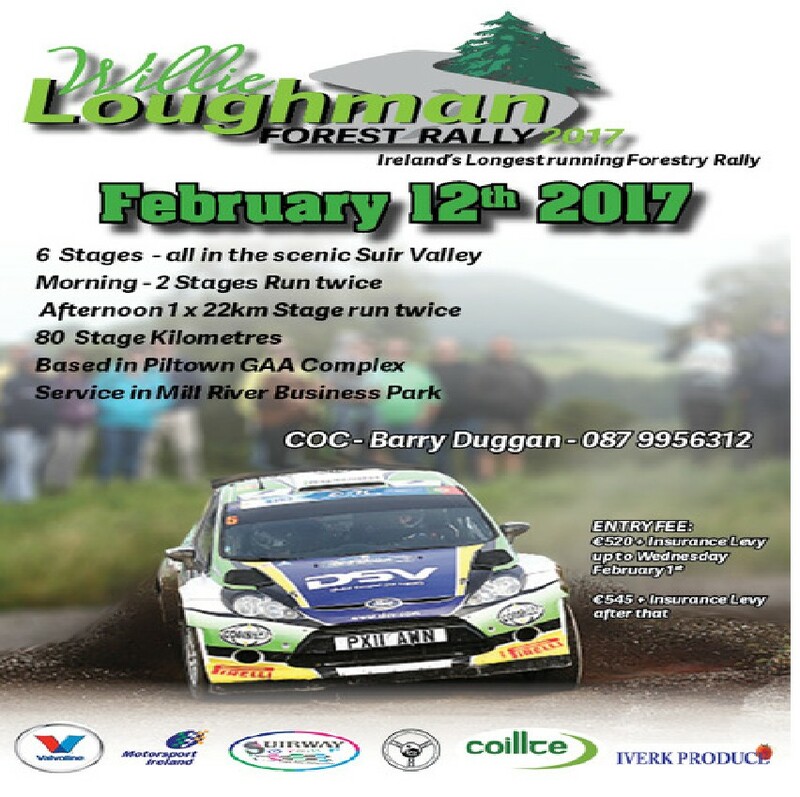 The Carrick on Suir Motor Club Ltd is delighted to announce the Willie Loughman Forest Rally 2017 is GO. which weren't available on initial Publication of the Regulations. €550 plus €75 Insurance Levy up to February 1st 2017 rising to €575 plus €75 Insurance Levy. 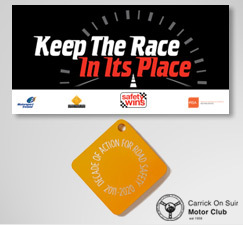 It has been decided that the Autotest scheduled to run the 21/22 January will be postponed in light of uncertainties. We will keep you all posted regarding this and will run the event at a later date. 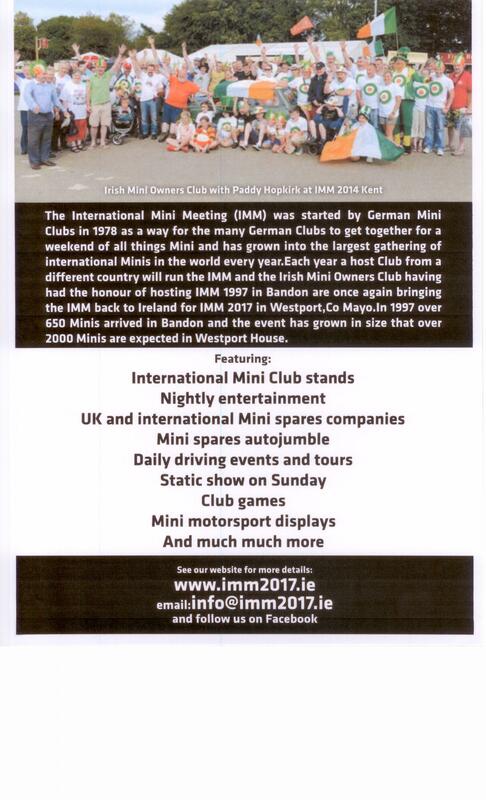 Make sure to check out the International Mini meeting which is being held this May in Westport House, Co. Mayo. 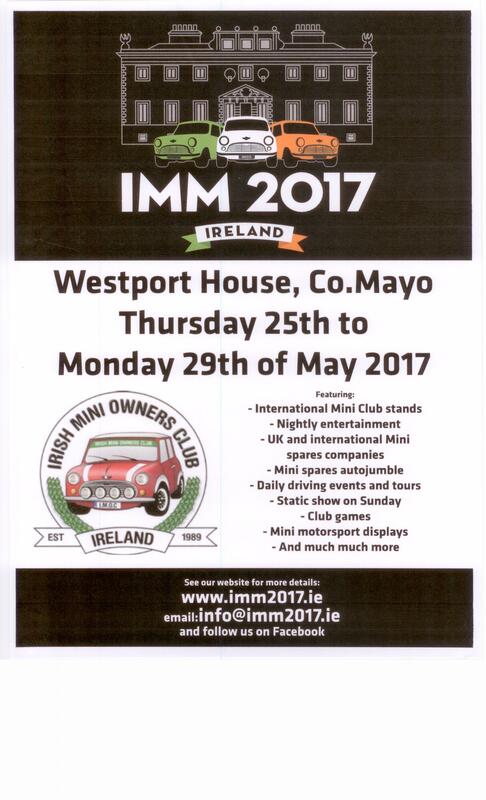 This will see a gathering of over 2000, both clasic and new minis ascend on the town of Westport for a fun filled, festival weekend, celebrating everything Mini. Regs and Entry Form are now available for the Wm. Loughman Forest Rally 2017. 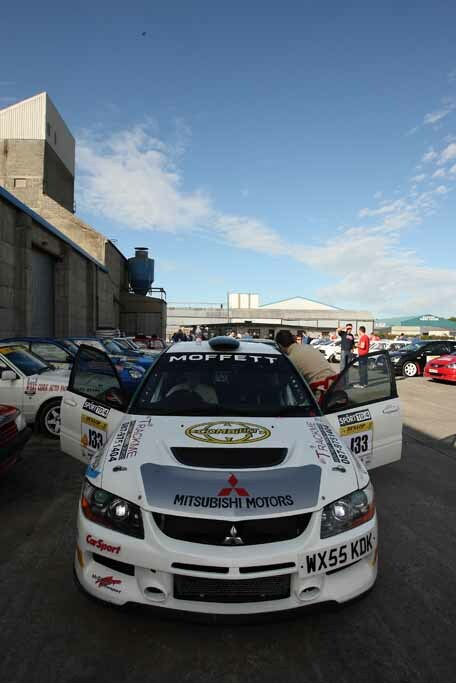 This will also mark the 1st round of the Suirway Group South East Stages Championship.